1947-48 "As Run" McCoy Hot Rod with Red Head motor (serial number 5609). Proper Duromatic tires front and rear. Motor has excellent compression. Wired nicely. This example has the screen grill (possibly available with slotted grill as seen in the ads). Approx 2000 (estimated) sold. Based on the Ford Model A (with a '32 grill). 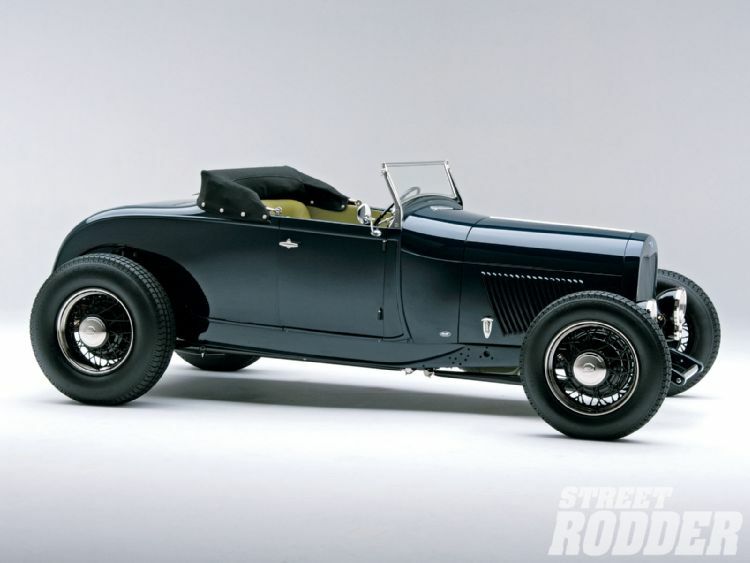 From the DuroMatic advertisment: "Muroc Dry Lake V-8 Roadster".